Ohhhh So WOW!!! 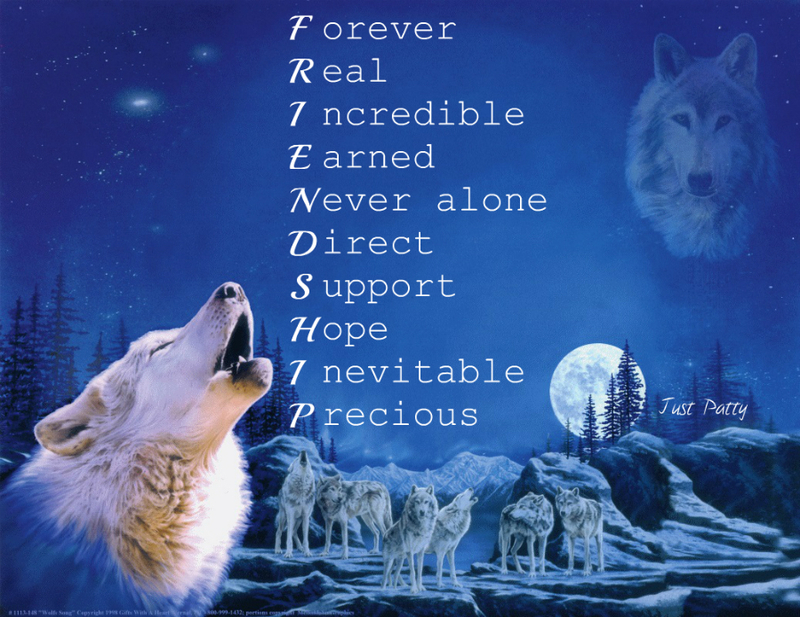 Absolutly Lurrrrrve this, I closely relate to the spirit wolf, and friendship, you capture what friendship truly is! Fabulous. Once again I am in awe and inspired by you. The wolf always inspires me because of his loyalty to his pack. That’s exactly how friendship should be! Love it. Great acrostic. Hugs. I always forget the name of this form lol! Love it!! Thank you ….. sharing!! !